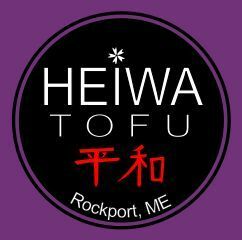 Heiwa Tofu has been handcrafting tofu in small batches since 2008, using only locally-sourced, organic soybeans. This small family business started in a garage in Camden, ME, but is now based in beautiful Rockport, ME. The family is committed to eating local, organic, seasonal food, and they love to grow their own produce and support local farmers and producers. That’s something that we here at Boston Organics know something about and can get behind 100%.